Each spring at the Beacon House Inn we plant an herb garden on our sunny back porch. Having a supply of fresh herbs on hand allows us to add some creativity to our breakfast dishes each morning. A recent addition to the garden last year was lavender. While it looks and smells beautiful on our patio, it is perhaps not the first herb that comes to mind when cooking! So, we thought we would share some of the creative ways we began to incorporate it into our kitchen. When cooking with lavender be sure to use a culinary grade lavender. The flavor is especially compatible with honey, lemon, orange or vanilla. A little goes a long way, so start sparingly and add a little at a time. Speaking from experience, if infusing it into a syrup be sure to strain out the flowers. If incorporating it into a sugar you will want to grind it so as not to have flower buds to bite into. 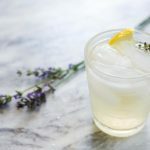 An easy way to experiment with the flavor is by making a Lavender simple syrup. It is a perfect match for fresh summer fruits. We often use it drizzled over cantaloupe with sea salt or combined with honey and used as a dressing over watermelon and mint. The syrup can also be used in all types of drinks. Why not try a refreshing lavender lemonade or lavender and lemongrass iced green tea? At cocktail time you can also change up the standard vodka with club for a Meyer Lemon Lavender Mojito. Lavender infused sugar is another simple yet elegant way to elevate a recipe. It can be sprinkled over fruit or baked goods. At the Inn we like to infuse it into heavy cream for a lavender whipped cream. Get creative with compound butters! A great one to try is honey, orange and lavender. 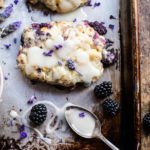 It pairs deliciously with freshly baked biscuits or scones. The ideas are endless once you begin to experiment with various flavor combinations. 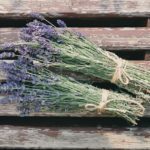 Here are some great resources to start with as you begin to use lavender in your cooking adventures! We look forward to hearing about how you use lavender in your kitchen! Let us know in the comments or when you come for your next visit to the Beacon House Inn! This entry was posted in Uncategorized and tagged breakfast, cooking, lavender by admin. Bookmark the permalink.